Google has revealed Stadia, a brand-new video game platform to bring gamers together and more. Here's everything we know about the exciting data center-driven service from the giant of technology. Stadia is Googles big attempt to crack the video game market. After years of speculation and rumor surrounding Google's move into the lucrative video game industry, a reveal event on March 19 finally lifted the lid on what the firm has been up to. In the reveal for Stadia, Google talked about how games of all sorts have brought us together over the years. The modern era sees people playing video games together, and Google is building a new way to bring these people together with Stadia. It wants to bring YouTube creators and players together in a way only Google can, it claims. Here's everything we know about Google Stadia, including all the latest info on the Stadia release date and price. Plus get all the info on the Stadia tech specs and games. Stadia Price - What do we Know? What Games are on Stadia? How Does Stadia Work for Content Creators on YouTube? Who is Involved With the Stadia? Does Google Stadia Have a Chance of Success? Just what was Google going to reveal during its March 19 event held during GDC 2019? The smart money was on a video game streaming service of some sort, and this turned out to be bang on. Google Stadia is a video game platform, not dissimilar to a console in that it requires games are developed for it, but all the processing is handled in a data center some distance from wherever you are actually playing. Google actually tested Stadia publicly in 2018 with its Project Stream test, in which players were able to play Assassin's Creed Odyssey via a game stream. Stadia isn't simply a remotely accessed PC, as is already available with services like Shadow. It's a video game platform, just not one that has any set-top box or console plugged into your TV. 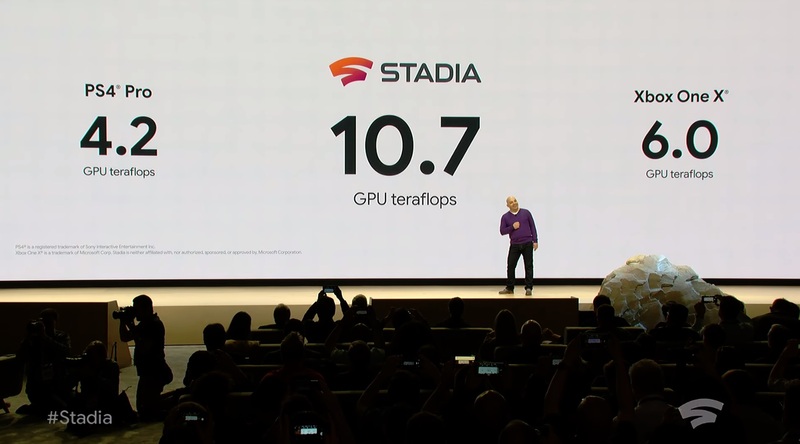 Stadia can be used on devices that runs Chrome, with Google pointing to Android phones, desktop PCs, laptops, and TVs. You can use an existing USB controller or buy the Stadia Controller, which has its own advantages which we'll cover later. Developers are being encouraged to get involved with Stadia now, but players can go to Stadia.com to get more info as and when Google reveals more. Google confirmed that the Stadia release date is 2019, first in the US, Canada, the UK, and most of Europe. More info will be revealed in the summer, where hopefully we'll get a firmer release window. Google's Stadia reveal was more of a service overview than a full-on presentation of everything we want to know. While we have an idea of how Stadia will work, we know nothing about pricing. There was no mention of a fee to use the service or how much games will cost in comparison to the PC and console market. Google is sharing more information in the summer, at which point we expect to hear more about exactly what Stadia will cost consumers. As a streaming technology, Stadia will offer instant access to players. As an example, users can jump from a YouTube video to playing a game in five seconds, simply by clicking on a button. The waiting we endure with most modern video games, as assets load, will be a thing of the past if Google is to be believed. The demo looked impressive, but we'll have to see it for ourselves. Stadia games can be played across desktops, laptops, TV, tablets, and phones. The data center is the platform, so there is no console box. This is similar to what Microsoft is pushing with xCloud, and what Sony already delivers with PlayStation Now. Games running on Stadia can be seamlessly moved from device to device, so you could start playing on a phone and then move to a PC, and then a tablet. TVs can use stadia using a Chromecast HD HDMI streaming device. There is no console attached to the Stadia service, with the only dedicated Stadia hardware for consumers being the Stadia Controller. 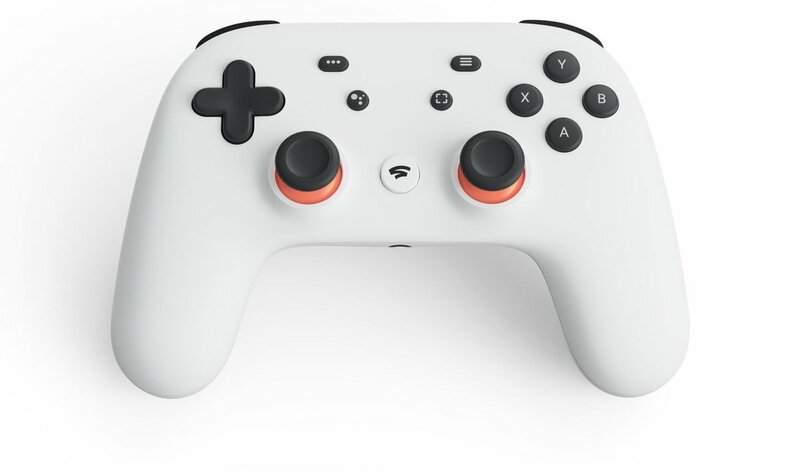 A big advantage is that users can use their existing USB controllers when using Stadia on a device with USB ports, but Google has developed the Stadia Controller to be the ideal way to play. This device is said to be the gateway to the best of Stadia. The controller connects directly via wifi to the game running in the data center, ensuring the best experience for players (less input lag). A capture button lets you share your experience to YoyTube, and a Google Assistant button allows players to access the microphone and ask for help (that has been integrated by developers). The Stadia Controller currently has no price, but it looks decent and somewhat like the Xbox One controller that many gamers enjoy using. Stadia is said to be built on infrastructure that no one else has. Google explained how it has set up its data centers to ensure gaming is the best it can be. The initial Project Stream test in 2018 delivered 1080p at 60 FPS. At launch, Stadia will support up to 4K at 60 FPS with HDR and surround sound. It also promises that 8K will be supported in the future, as the technology improves and consumers want it. Google provided the tech specs of what it is calling one instance of Stadia. This is the effective performance each person using Stadia is accessing. It also confirmed that Stadia will run on the Linux OS. Google also claims that resources available to games can be scaled up to match the requirements of the game developers and their projects. Stadia is said to offer up to 10.7 Teraflops of power, which is more powerful than the PS4 Pro and Xbox One X combined. Stadia uses Linux and Vulcun, with Unreal and Unity providing full support for the system alongside other middleware such as Havok, the Microsoft-owned physics middleware. While some games will be using a single Stadia instance, it's perfectly possible for games to use multiple GPUs, giving more power to developers. By using Google's servers, the firm also promises the ability to have better multiplayer experiences thanks to the power available. This might allow for more complex scenarios or more players in an online game. 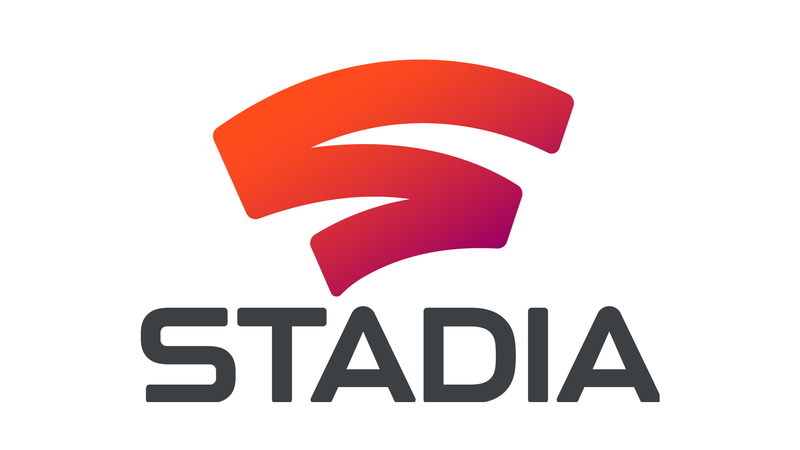 In a nod to the community, Stadia will also support cross-platform play with other consoles and PC. While we're still learning exactly who will support Stadia, at the reveal event Google welcomed guests out to showcase their titles. This included id Software, which is currently developing Doom Eternal for Stadia. id got Doom Eternal looking and playing great on Stadia in just a few weeks. Stadia was also demoed as a way to bring back split-screen gaming. By tapping into the power of the data centers that run Stadia it's easy to have high fidelity screens for everyone, with each player perhaps able to see the game world in a different way. Tequila Works, the studio behind the excellent Rime, took to the stage to talk about developing games for Stadia. Google offers a tool called Style Transfer ML, a machine learning tech, that will hopefully drastically decrease the time to create games. Style Transfer ML seems to take art styles and apply them to give games unique looks in no time at all. How useful this will be for game developers who want to work on finetuning the look of their games remains to be seen. Stadia will receive exclusive games, developed by Stadia Games and Entertainment. The division will be headed by Jade Raymond, formerly of Ubisoft and EA, who said that Stadia will remove all limits that had been in place for game developers. Partner studios will also have access to all the technology Stadia offers, so Stadia can take games to the next level. Sadly no original games were shown off, although some tech demos highlighted certain features. It's unclear if Stadia will release with exclusive titles or if it will initially make do with games from third parties. State Share lets players share moments in a game, letting those who get the shared link pick up from that exact moment in a game. Q-Games is working on a brand new game, its biggest to date, that makes use of the State Share technology. A player could share a link via social media, letting everyone who sees the link tackle a time trial, for example. State Share seems designed to be used most effectively by YouTubers who want to engage with their audience. Firstly, If you are a streamer or a YouTuber you can also use a second stream and send it directly to YouTube at up to 4K. This is all handled via the data center, so you don't need to worry about being able to handle 4K video capture. Stadia is designed to bring gamers and YouTubers together better than ever before. Creators will have new ways to monetize their content, which is likely to be a big deal. With the Crowd Play feature, it will be possible to jump straight in and play with the content creator who is live streaming. This was demoed with NBA 2K19. Matpat came onto the stage to talk about how Stadia will be great for gamers and content creators alike, letting him build a stronger bond with fans. State Share will let content creators be game designers (sort of), and lets them share those mini creations with fans. A sort of extension of this was shown off in a scenario where a player was stuck about what to do in a tomb in Tomb Raider. It's possible to ask Google for help and you'll be shown a video of the exact part you were having trouble with. For many, the issue of input lag will never be resolved enough for streaming to be a valid alternative to a 'proper' console, complete with all the in-built processing power it needs to run the latest games. This is what Google will have to overcome if it is to take people away from their home consoles and tempt them away from buying a PS5 or Xbox Two. Our friends at Digital Foundry performed some initial input lag tests when they got to test Stadia at Google. The results are interesting, with the testing of Assassin's Creed Odyssey running at 1080p 30 FPS revealing input lag not far from what the game feels like on Xbox One X. The site states that if Stadia does indeed offer 60 FPS, the lag felt might actually improve on the console game. More tests will need to be done and lag will be highly dependent on your own internet connection's latency. Image quality is also a big factor for gamers who currently use PCs or consoles, and the tests show that the picture on offer (at least at 1080p is far from perfect. Before the full reveal of Stadia there was a teaser. The trailer, which pointed to the March 19 reveal event, features numerous video game scenes depicting popular game environments. Some people have tried to tie these scenes to certain video games, but it looks to be a broader look at video games rather than anything in particular. Some of the people Google has recruited for its push into the video game market suggest that the firm means business. In January 2018, Phil Harrison, known for playing key roles in both Sony's and Microsoft's console businesses, revealed that he had become a vice president and general manager at Google. That alone signified that big things were happening behind closed doors at Google. More recently, former Ubisoft and EA studio head Jade Raymond joined Google as a VP, as revealed on March 12, 2019. On March 19 Google revealed that Raymond is leading the Stadia game development branch, working on exclusive titles for the service. You might think of Google as the search engine company, and that is true to a degree, but the firm produces a lot more than that. It's a huge software firm, responsible for services like GMail, but it also makes hardware. Its Pixel mobile phones are regarded as some of the best on the market, while it also sells Chromecasts, Pixelbook laptops, and Google Home smart speakers. It also has a huge server infrastructure and knows the internet's limitations. It's easy to dismiss Google as yet another contender that will fail, but there hasn't been a major tech industry player enter the video game market since Microsoft launched the Xbox back in 2001, having largely been a software firm until that point. The reaction to Microsoft's news following initial leaks was strikingly similar to how people are talking about Google Stadia. The Xbox as a brand went on to sell over 140 million consoles over three generations, so it would be wise to give a gigantic tech company some respect. Google has lifted the lid on Stadia, but it's said that we can expect more in the summer. Will Google be at E3? We'll find out soon enough. Tagged with GDC 2019,	Google,	Google Stadia,	Guides.